I had to write this. However you feel, whichever side of the #IndyRef vote you are on, please take it in the spirit with which it is meant. Love. This is how I feel about you. I choose not to talk about either politics or economics here – there’s plenty of that elsewhere. This is, quite simply, a love letter, personal, passionate, from the heart. Although I was born in England by virtue of my dad’s job there, I feel Scottish to the core of me – blood of my blood, bone of my bone and soul of my soul. My entire ancestry is Scots on both sides. 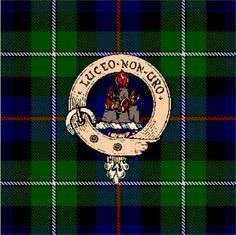 In the far distant past my Scrimgeour forebears on my mother’s side went into battle beside Robert the Bruce, carrying his kingdom’s standard. In more recent history, my Ayrshire-born dad fought with his Scottish regiment for the freedom of the United Kingdom. Because of their father’s blood added to my own, my children are also direct descendants of the poet of Scotland, Robert Burns. I am country bred, so I have walked your hills and glens all my life, swum (freezing but happy) in your seas and burns, had my mind broadened and educated in your capital. I have stood marvelling at the pink blush of sunset on sandstone and granite walls, climbed Arthur’s Seat at midnight, huddled in heather watching curlews and eagles soar, heard the go-back of grouse, seen capercailzie dance in a pine forest. I have stood on Drumossie Moor and wept for what the English did there, worn my clan tartan proudly, not taking it lightly that I now have the freedom to do so. Your pipes, both Great and Small squeeze my heart in the hearing of them (they played the lament at my dad’s funeral), and the sun-blue waters of the Western Isles are what I think of to cheer me up when I’m sad. My family are scattered across your length and breadth – Ayrshire, Stirlingshire, Glasgow, Edinburgh, Sutherland, Argyll. Some of the Scots-born of them are in England or abroad – they too cannot vote. All of them are passionate about you, though. None of these very personal things will matter to any but me, but I just want to say this. Whatever happens next Thursday, I will still love you. But I desperately don’t want you to go. Please please let’s stay together. You are part of me, you are part of us all. Our history is indivisible – I truly hope our future will be too.